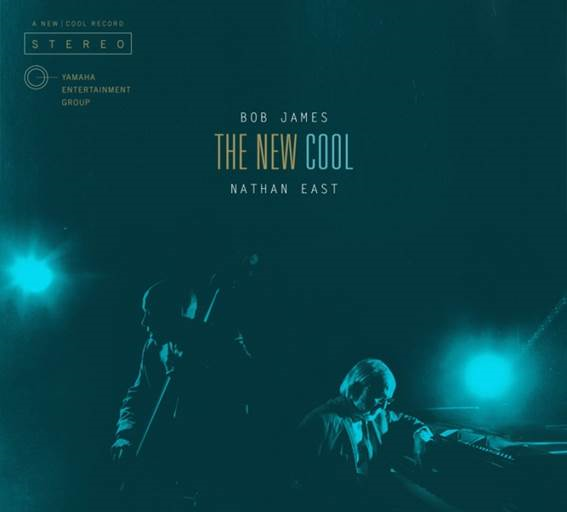 Cool: precisely the way I describe the new album from Bob James and Nathan East titled “The New Cool.” The new album will be released on September 18, 2015. James and East step into duo mode with pure ease; that is to be expected since the two have been friends and musical collaborators for over 25 years. Individually and collectively as part of the legendary group, Fourplay, Bob James and Nathan East have been making music for a very long time. It was the obvious next step for the two of them to embark upon a journey together doing what they do best. As friends and collaborators, the ease of which the two fused their talents with just a piano and upright bass was masterful. That camaraderie and spirit shines forth in every note of every song on “The New Cool.” It is comprised of an array of original songs and a few covers of some good old favorites, like Willie Nelson’s “Crazy” on which Vince Gill delivered stellar vocals. East describes the project as an opportunity to step outside their comfort zone and present the music as pure and unplugged as possible–no filters, no barriers, and no rhythm section to hide behind. The result is a recording like none other you’ve heard from either of them as well as a beautiful representation of two legendary artists and their friendship.